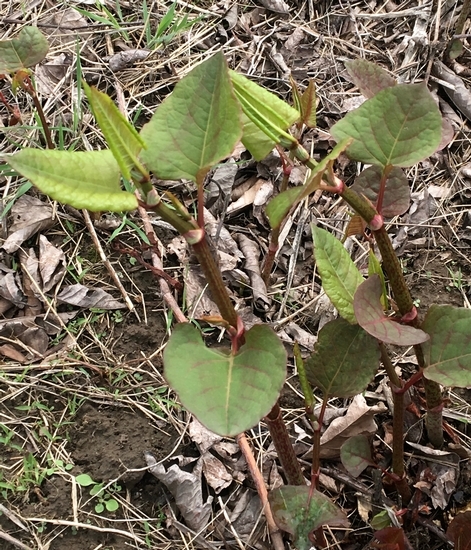 An invasive perennial that spread by rhizomes and seeds. 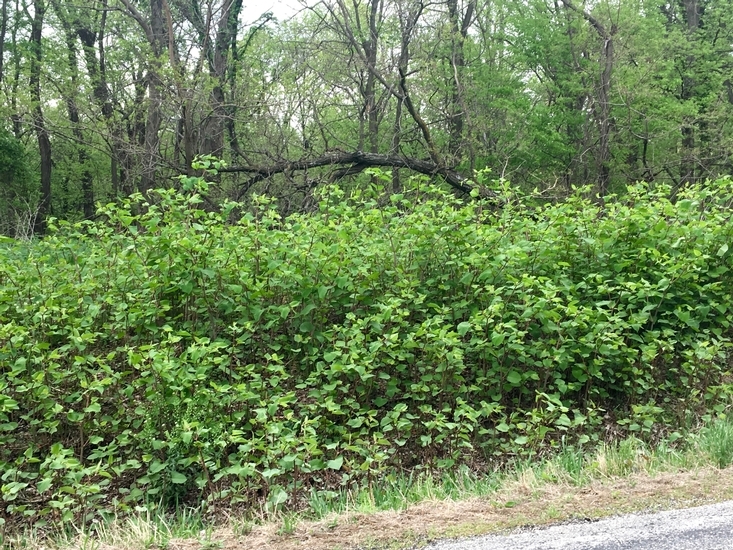 Japanese knotweed can grow to a height of 13 feet, and has stems that resemble bamboo when mature. 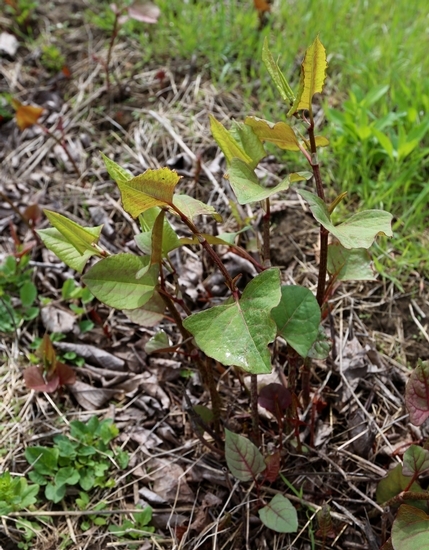 Japanese knotweed was introduced to the United States from Japan as an ornamental, and now occurs as a weed of riverbanks, landscapes, abandoned fields, or other moist areas. Arranged alternately along the stem, egg-shaped in outline, approximately 4 to 6 inches long, 2 /12 to 4 1/4 inches wide. 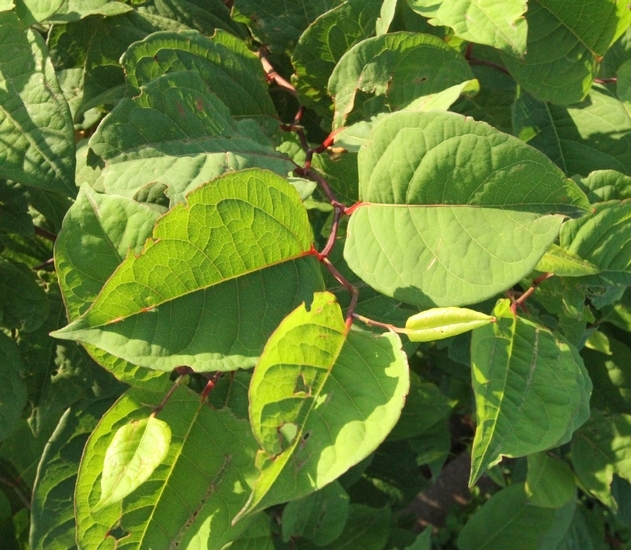 Leaf bases are essentially straight across (truncate). Stout, hollow, jointed, resembling those of bamboo, especially in older plants. A thin membranous sheath (ocrea) encircles the stem at each joint. 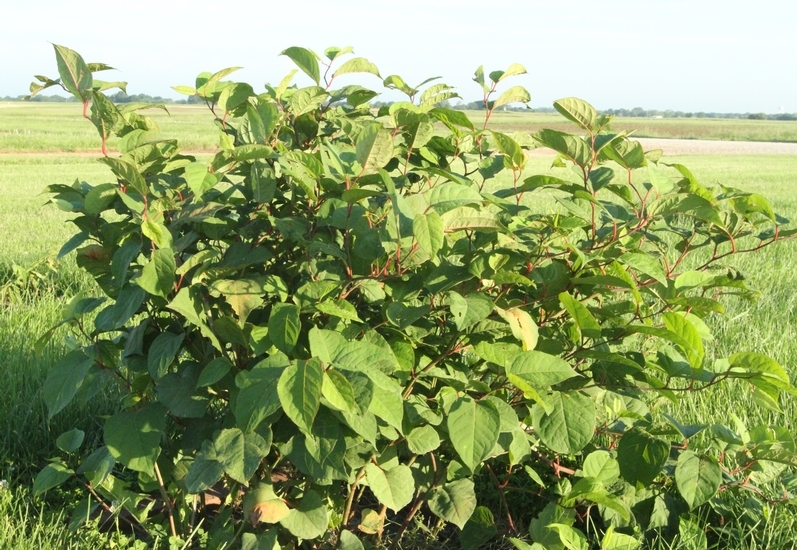 Stems may reach as much as 13 feet in height. 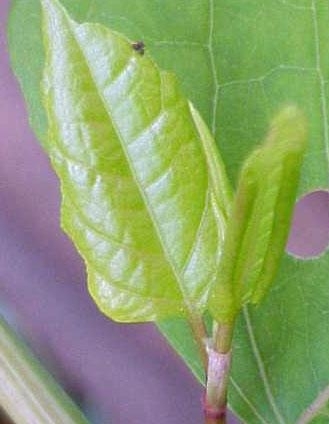 Occur in clusters (4 to 5 inches long) that arise from the area between the leaf petiole and the stem (leaf axils). 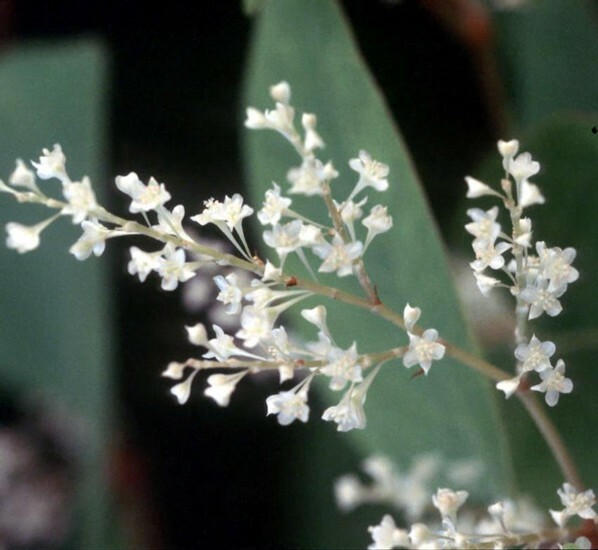 Flowers are small and white in color. 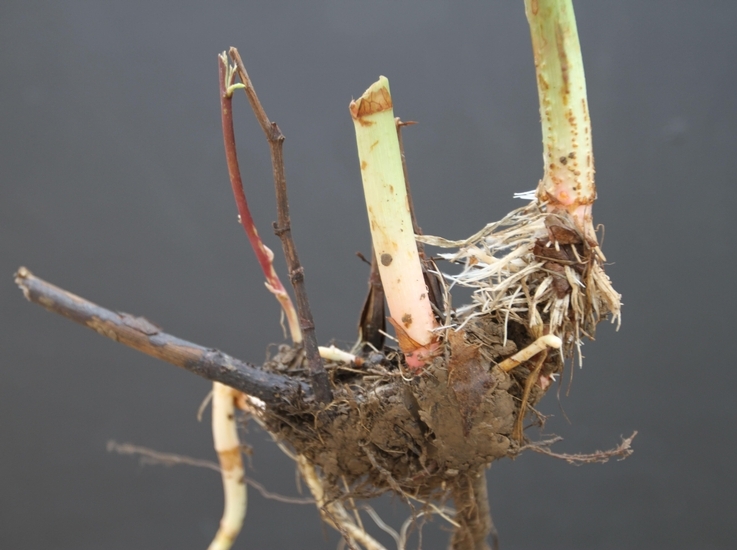 Rhizomes that are capable of producing new plants, often resulting in thick colonies of this species. The broad, egg-shaped leaves and stems that resemble bamboo are some of the key features of this plant. 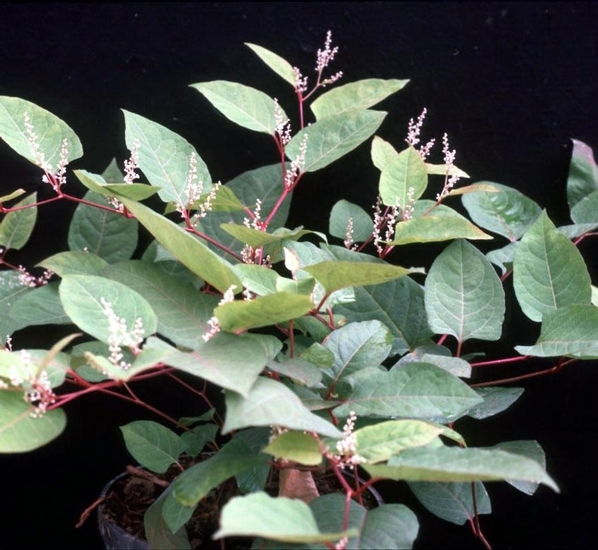 Giant knotweed (Polygonum sachalinense) also occurs in some of the northeastern states, but this weed generally has larger leaves than those of Japanese knotweed and leaves with heart-shaped leaf bases.